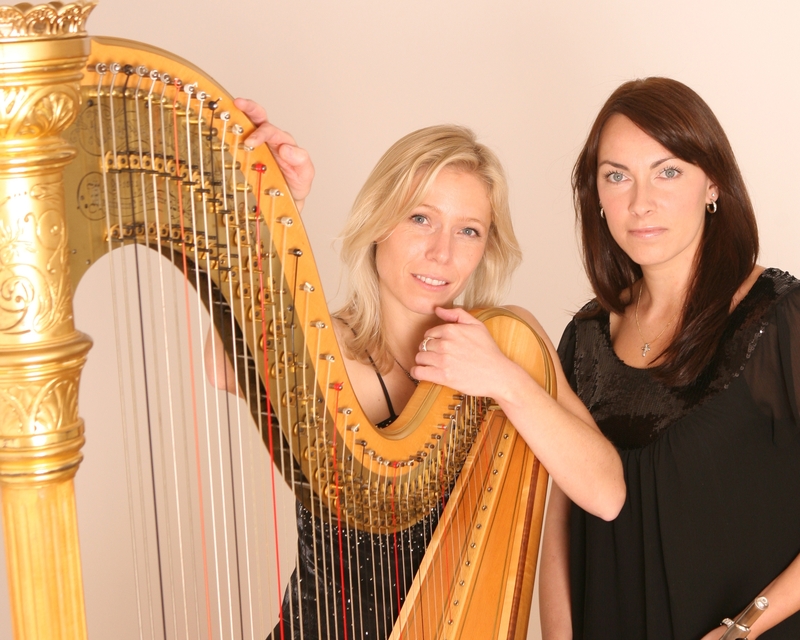 Formed in 1995 by Susan Fitz-Gerald (flute) and Elizabeth Elliott (harp), The Fitz-Elliott Duo offers an extensive and flexible repertoire for all occasions. This ranges from classical to jazz and also includes arrangements of today’s popular music. Individually the duo members are talented and accomplished soloists, chamber and orchestral musicians. Susan Fitz-Gerald is a successful session musician working in TV and radio and also performing regular solo recitals at venues ranging from the Royal Festival Hall to 10 Downing Street. Elizabeth Elliott has performed at The Royal Albert Hall, The Barbican and The Royal Opera House and plays regularly with The Bournemouth Symphony Orchestra appearing with them on their live radio broadcasts and their CD recordings. She is also an accomplished musical arranger for music ranging from classical to jazz. This brings a unique depth to the duo’s repertoire. The duo are regular performers at celebrity gala and charity events and private functions at top London venues including The Dorchester; The Hilton, Park Lane; The Café Royal; The Landmark, The Grosvenor, Hampton Court, Royal Ascot, Mansion House and Kensington Palace. Our quoted price covers the duo playing for around two-and-a-half hours over a three-hour period, but a longer stay can also be arranged by negotiation. Where a piece of music is not already in their extensive repertoire they can also usually make a special arrangement although there may be an extra charge for this service. The Fitz-Elliott Duo are based in Surrey. See Pricing for details of travel costs, etc. "The duo were fantastic and played beautifully during the ceremony. We would definitely recommend to others." "You were brilliant, played beautifully and enhanced the setting and atmosphere. I'd recommend Function Junction to anyone, very helpful and clear. Thanks"
"The Fitz-Elliott Duo were fantastic and a wonderful part of the wedding, enjoyed by everyone. We would be grateful if you could pass on our comments." "We were absolutely delighted with the duo. They looked beautiful and played wonderful music. They totally lifted the ceremony to another level and their reception music created the perfect fun, yet relaxed atmosphere we were hoping to achieve. A very classy act who helped set the tone for the rest of the day." "They played music requested by some of the guests who thoroughly enjoyed the music." "Great act, and professional service from Function Junction. Many many thanks!!" "We loved their music and so did our guests. The girls were exceptionally nice and helpful. We'll definitely have them again…." The duo are also able to provide many more show tunes, Irish, Welsh and Scottish music and have an extensive Christmas repertoire ranging from traditional carols to the popular Christmas songs.